2. Horace and Pete, E10S1 de Louis C.K. 3. 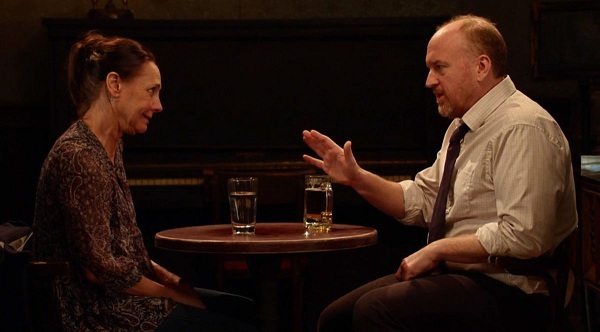 Horace and Pete, E1S1 de Louis C.K. 4. Horace and Pete, E9S1 de Louis C.K. 5. Horace and Pete, E6S1 de Louis C.K. 6. Horace and Pete, E3S1 de Louis C.K. 7. Horace and Pete, E7S1 de Louis C.K. 8. Horace and Pete, E2S1 de Louis C.K. 9. Horace and Pete, E8S1 de Louis C.K. 10. Horace and Pete, E5S1 de Louis C.K. « Follow me / I’ll show you the way / Out of this home / Out of this land / Fall into me / And drown inside me / I know you will see / The beauty of me… » (Black Mirror S03E06, « Hated in the Nation » de Charlie Brooker & James Hawes).